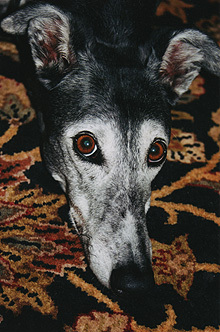 Effective August 1, 2011, an additional $5.00 service charge will be added per dog, per day, for all greyhounds over 11-years-old. This is due to the additional time required for their care. This charge will apply to all applicable reservations taken AUGUST 1, 2011 AND AFTER. Pre-existing reservations will not be affected. Thank you!